Warsaw’s Masada is located in Muranów. It’s in a form of a mound with the tomb of Mordechaj Anielewicz, the young leader of the Warsaw Ghetto Uprising, and the fighting men and women that accompanied him. From here (a former transhipment square near Stawki Street) trains would depart carrying thousands of Jews to the death camp in Treblinka. Today, these places are commemorated mostly by monuments and stones. 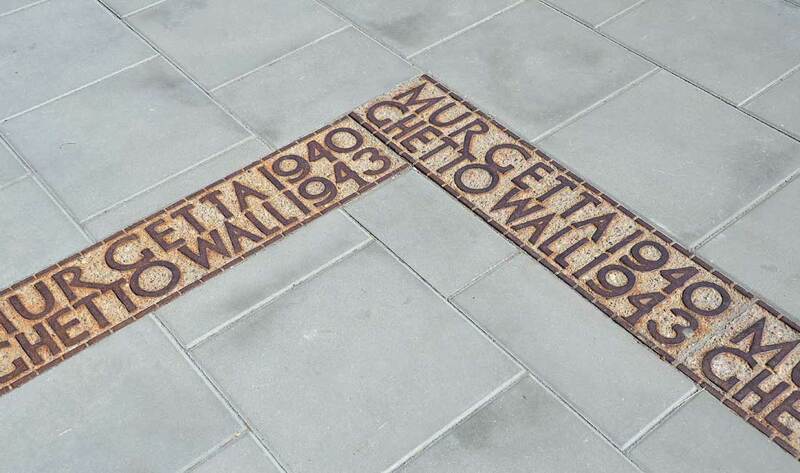 Our walk will focus on places connected to the resistance and places that marked the death of the Warsaw Ghetto’s residents. We will learn about the history of its borders and examine where the infamous wall ran. We will try to recall the everyday existence of this enclosed district, and see why there are numerous monuments commemorating events that have nothing to do with Jewish history but are still located in this part of the city.